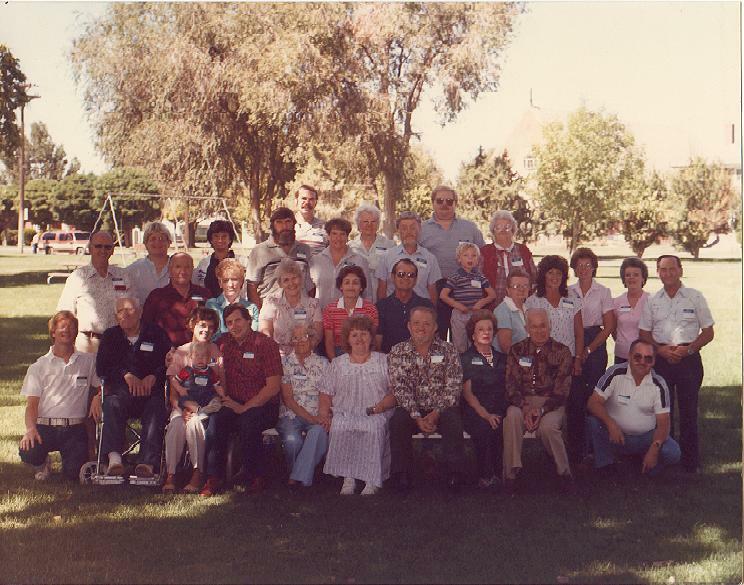 The Sherbondy Family Association serves as a central source of information on Sherbondy ancestors and relatives by collecting, organizing and sharing genealogical information on Sherbondy ancestors and descendants. The Association also serves as a cohesive force in bringing together all descendants of Sherbondy families. This has been accomplished in the past by publishing a newsletter and organizing reunions. Current plans are to provide information on this web site, in a future book, and perhaps in newsletters. See more on the Clan Chart. 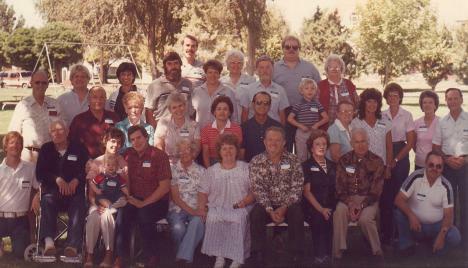 The photo below is from a Sherbondy Family Association reunion in Oregon in 1984 with several founding officers. See the DNA page for more info. The SFA is hiring researchers in West Virginia and Germany now!